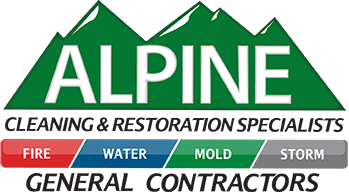 For over 20 years, Alpine Cleaning and Restoration has assisted people just like you by removing flood water and providing water and flood damage restoration. Our experts restore any damaged materials and get you back into your home or office as quickly as possible. Because we understand what a terrible feeling it is to see your home, office, or basement flooded, your satisfaction is our top priority. Our experienced teams guarantee that we’ll have your home looking just like new again! Our expert teams extract the water as quickly as possible and save your walls, floors, and furniture from water damage. They replace damaged wood or sheetrock with new, dry materials after we have completely removed all of the water. Finally, we will restore and paint your flooring and walls to have them looking great. Find where the flood water is originating and stop the flow of water into the home or business. This includes repairing leaks, sealing holes, filling cracks, replacing pipes, etc. Extract the water as quickly as possible to avoid more damage than is necessary. Use our water discovery technology to look for flood water that may be hidden behind walls, under floorboards, under concrete slabs, etc. Repair any water damage. This includes repairing structural damage to your home, painting, replacing cabinets or cupboards, washing clothing and rugs, replacing carpet, etc., as needed. If your flood damage restoration team doesn’t work in your best interest, it can quickly eat up your money. Alpine’s processes help ensure that you get the most restoration possible from your insurance money. Call now: 855-4-ALPINE. Response time is critical when dealing with water and flood damage restoration. The longer water sits in a structure, the more damage it causes, including rot, warping, and mold growth. To best serve you, we promise a 60-minute response time to your call or e-mail. We do everything we can to save your structure and also guarantee that your house will pass all meter and monitoring tests, verifying your home is completely dry. Your satisfaction is very important to us! Water leakage was not caused by a broken pipe or something that will cause the basement to flood again. Ensuring that any equipment like water heaters and furnaces are either turned off, or operating correctly. Ensuring there are no other leaks like natural gas leaks or sewage etc. Our team is very efficient when it comes to helping you get your home or office back to you either the way it was before the flood happened, or in better shape. We hope that when you need someone to help you with your flooded basement restoration and water removal needs, you will call Alpine Cleaning and Restoration. It’s easy to spot some water intrusion. You may see paint bubbling on the walls or hanging from the ceiling. Water might squish under your feet as you walk. Or maybe there’s so much flooding you could float a toy boat on it. But not all water is so obvious. Water can hide in your walls, under your floors, or in other areas not readily visible right now, but that could damage your home over time if not remedied. One of the things that sets Alpine Cleaning and Restoration apart is that we use advanced technology to help us locate hidden pockets of water sitting in unseen places and that could cause costly damage in the future if it is not removed. Stagnate flood water can become filled with bacteria and other harmful bugs. Hidden pockets of flood water may be caused by hidden leaks that will continue to erode your foundation or walls. To avoid problems after a flood or leak, please let us here at Alpine Cleaning help provide water damage restoration. Rain gutters that drain too close to the house. Remember that in addition to water extraction, the source of the water intrusion needs to be addressed. If you’d like a professional to come in and take a look, give us a call:855-4-ALPINE. 1. Clean Water: Free from contaminants and does not present a health risk. 2. Gray Water: Some contaminants and may present moderate health risk. 3. Black Water: Extremely contaminated and presents a severe health risk. If the flood water contains feces, urine, dirt, or other substrates that could contain harmful microbes (such as sewer water or water intrusion from the yard), or if the water has been present for two days or more, please be safe and request professional assistance. We’ll do all we can to protect your health and restore your building to its pre-loss condition. 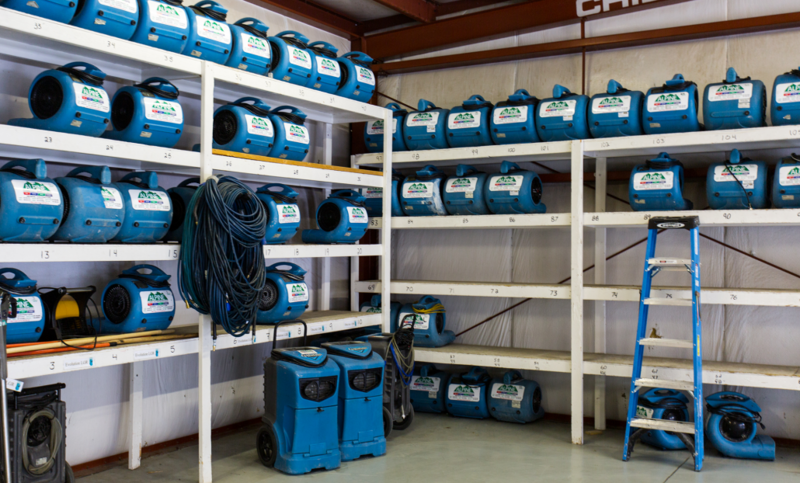 We’ve got everything you need to take care of water intrusion and flooding. 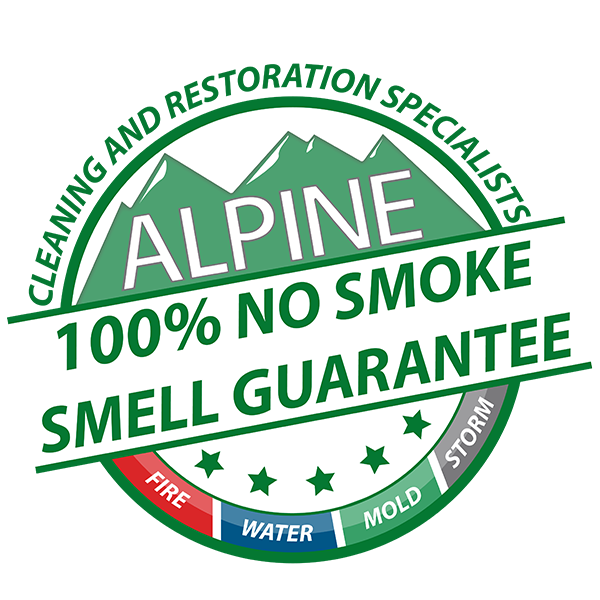 Please give us a call at 1-855-4ALPINE for rental pricing on air movers, dehumidifiers, air scrubbers, wet vacs, deodorizers, etc. Also, remember that the cause of the water intrusion or flood needs to be fixed. Be sure to address this so that the flood or leak is stopped and doesn’t happen again. If you’d like help identifying and repairing the cause, let us know! If you’d like trained professionals to safely inspect and restore damage caused by water or flooding, please call us now: 855-4-ALPINE.